The American West has always been home to grifters and thieves, dreamers and doers. It has been a destination for the misfits, for the ones who don’t quite fit and need space to plan their schemes or make their fortune. With each new generation comes a new reason to go west. 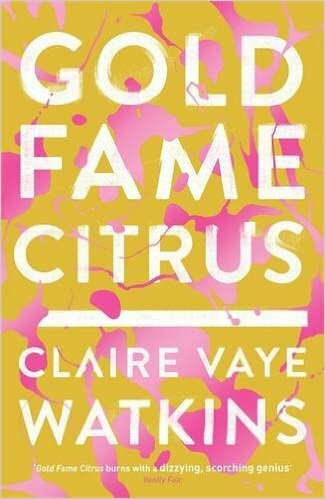 In her new book, Gold Fame Citrus, author Claire Vaye Watkins imagines that enigmatic place in a dystopian future in which most of the western states have been buried by rolling sands, a blight brought on by man-made climate change. Gripping and heartbreaking, Watkins’ novel brings to life the left-behinds and stayed-behinds who populate the dangerous, sun-baked stretch that was once a place of dreams. Luz and Ray are hiding out in a canyon, squatting in a starlet’s former mansion and surviving on ration cola and graham crackers. The drought that grips California has taken its toll, and the state has become a wasteland of holdouts and drug-addled criminals profiting off the desperation of others. Their quiet life, dedicated to little more than daily projects to keep their hands busy, is turned upside down when they meet a little girl named Ig, who they feel compelled to save from a family Luz believes is doing her harm. The three embark on a journey to escape California, a difficult task given the shut-down borders and intense scrutiny on any refugees. But instead of finding sanctuary, they discover how little has truly changed about civilization and mankind’s darkest impulses. The people who now live in California, close by the near mythic sounding Amargosa Dune Sea – the name for the massive dune spreading in every direction across most of the Southwestern states – live in near constant danger. Threat comes from the harsh environment and the dune itself, which has buried mountains and cities in its unceasing growth across the region, but also from each other. Communities have dissolved into cultish groups loyal only to themselves, and with water and other rations at a premium there is immediate payoff for acts of violence that will likely go unpunished. The government has all but abandoned the area, rounding up those they find and detaining them in “temporary” locations. The sinister nature of this new world is communicated by Watkins with a deft hand, showing the disparities between what the government is telling people and what is happening on the ground through sly, off-hand remarks that jarringly communicate the way these people and places have been abandoned.. The world Watkins has imagined is a rich one, but she doesn’t lose much time to explaining how California ended up in the state we find it in Gold Fame Citrus. Watkins’ writing is lyrical and moving, even when laying bare the horrors of a changed world. She uses small moments to tell just how far California has fallen, pulling headlines from old newspapers or, as below, listing in one brief paragraph the many changes that impact upon daily life. Because sweet Jesus money was still money, and wasn’t that something to celebrate? For now, enough money could get you fresh produce and meat and dairy, even if what they called cheese was Day-Glo and came in a jar, and the fish was mostly poisoned and reeking, the beef gray, the apples blighted even in what used to be apple season, pears grimy even when you paid extra for Bartletts from Amish orchards. Hard sour strawberries and blackberries filled with dust. Flaccid carrots, ashen spinach, cracked olives, bruised hundred-dollar mangos, all-pith oranges, shrivelled lemons, boozy tangerines, raspberries with gassed aphids curled in their hearts, an avocado whose crumbling taupe innards once made you weep. In some ways, the California imagined by Watkins feels in line with the place it holds in popular imagination, making her dystopia feel all the more real. With traditional centralised authority gone, charismatic leaders are able to rally support in the name of communal good, calling to mind the old myth of the Wild West. Brute force and a willingness to do whatever it takes to care for the group is valued over individual priorities, as Luz and Ray learn the hard way when they fall in with one such group living in harmony with the encroaching dune. A culture that celebrates those who stay, those who the dune “calls to” and “curates”, underlines the power of an identity rooted in standing against evacuation and standing for living in the supposedly symbiotic universe of the dune sea. Gold Fame Citrus strikes the perfect balance between the familiar and the extreme, immersing the reader in a world that feels at once possible and indescribably shattering. 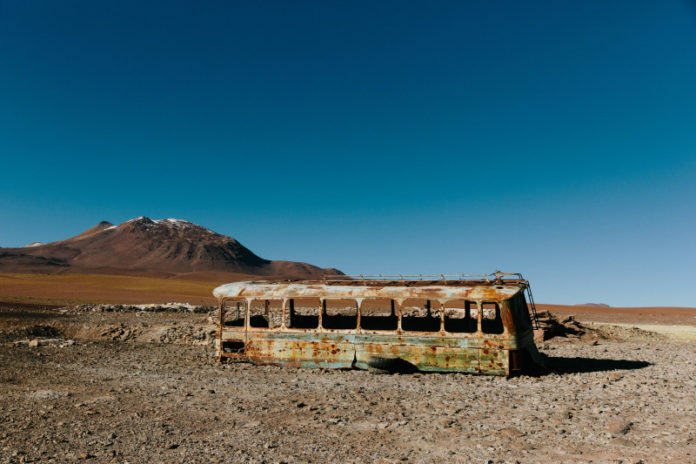 Littered with moments that can only be described as delicately profound – “The salt rock was still in her hand somehow, but the salt fields were behind them, and Luz did not notice when they left them and so she did not get to say good-bye, and wasn’t that her shallow, selfish way?” – the novel moves much like the Amargosa itself, with gentle waves of hope and joy sneaking up to rise before the reader and slam back down to Earth. Gutting, haunting, and painfully beautiful, Watkins’ latest is an unequivocal triumph.